Issue 4 of the #ClubPenguin magazine will be out on May 3rd. 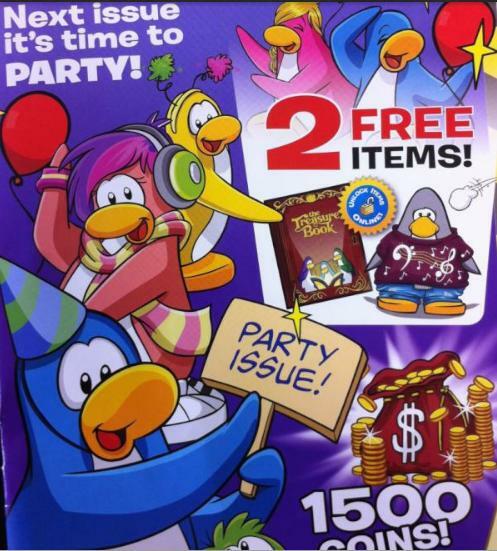 It’s the PARTY issue and will include 2 free items! ^AH. Awesome! In this issue you will receive 1500 coins! And 2 items on Club Penguin which are completely free! Are you going to get the Club Penguin magazine on May 3rd? Also what do you think ‘Party Issue’ means? Make sure to comment and tell us what you think.